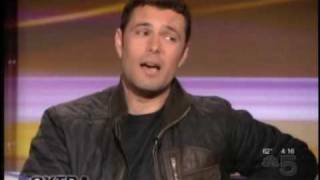 Carlos Bernard appeared on Good Day LA today to discuss his return to 24 along with a clip from the upcoming episode of Tony starting an interrogation that’s not quite government approved. I can see Tony rising the ratings for 24 Legacy! A lot of fans on FB, twitter, instagram, etc who have stopped watching the show or have not watched yet are excited for Monday. I think people are underestimating the huge appeal Tony has to 24 fans. His appeal is like Jack Bauer’s appeal and there is more of a demand for Tony as we have not seen him since 24 Solitary and people wanna see how his story is resolved. Very proud of Carlos Bernard being a huge Cubs fan and I’m not so sure on how excited he was about that World Series win in Game 7. Can’t wait until Monday for his return as Tony Almeida depending on how many episodes he will appear even though its heading into the other half of the series. They should have cast Tony as the lead from beginning. Amen to that – the series would have had a lot more credibility and would have sold better as a transition from the first 9 seasons. Instead, they gambled on a non-charismatic, unrealistic choice for the lead in an action series (regardless of all the ex-military window dressing the writers hyped on the character) and fizzled out of the gates as a result. For all of the changes in cast that occurred in the original series, the core actors remained and were ones fans believed in, cared about and wanted to follow. The ‘Legacy’ cast has no one that falls into that category IMO. 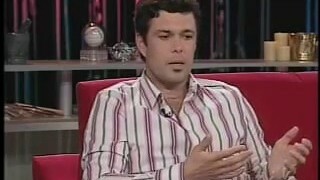 Carlos on that talk show looks just like Tony would today had the events of Day 5 not happened. Aand this is where all the memories and emotions of 16 years watching this show come back. Just by looking at a picture, reading your comment and all the implications. Let’s face it, Tony has been dead since the moment that car blew up that morning and he will never truly live again. 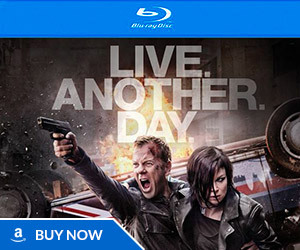 This guy’s life is pure suffering, matched only by Jack Bauer himself. haha that’s so true very good observation mate. even the hair cut tells so. God you really got me. Just the thought of a patriotic, happily laughing Tony could make me burst into tears. But Tony will always be Tony to be, patriot or villain. I would say he is not exactly real giddy or excited about his return – sort of like” I know this is going to sink so might as well collect a paycheck”. It would be real embarrassing for the producers if Tony’s return did really boost the ratings up to renewal level. Then their reasoning for bringing back the show in this form is shot to pieces. There’s 6 episodes left. Is Tony in all remaining episodes? or is this a 1 and done? According to IMDB, he’s in the final 6 episodes…..
Now, as to how much screen time he actually has in each, that remains to be seen. It wouldn’t surprise me if the writers use him as bait to keep viewers on the hook even if he only has 3-4 scenes per episode. Something about his reaction to them calling him menacing and the way he corrected them with the “It’s a kinder, gentler Tony Almeida” bit leads me to believe that Carlos was concerned about them getting the wrong idea about his character this time around. Perhaps they truly ARE heading the redemption route. Just look at his character in those scenes–he’s acting much like how he was in Solitary: tired, remorseful and different. The fact that Otto’s character hugs him like that and that fact that CTU would work with him at ALL tells me that Tony’s head is on straight this time. He strikes me as a something of an underground vigilante but no longer murderous. If anything–he’s like the old Tony again. He even LOOKS more like the old Tony again. Looks are everything. In season 7, he looks like a gangster. His face was constantly shrouded in shadows in Season 7 and he appeared quite shady…because he was. Here? Well…look at him. He looks tired, really. I’m thinking that whomever broke Tony out is either a part of the government or a part of an underground group who fights terrorism outside the confines of the law. Clearly, he must have earned his reputation as a reformed man if Otto’s character would be so open to not only work with him but hug him like an old friend and colleague. Now we just have to hope that the writers don’t do something stupid like reveal him to be bad yet AGAIN. Somehow, I don’t see them going this route this time. Many fans were PO’d at Almeida’s Season 7 treachery. No–this time I’m thinking Tony is on the light side again–no more murdering of innocent people and terror attacks. Question is–will he die as the final peg of his redemption? If they continue with the whole ‘Tony is a mirror image of Jack’ angle, he’s likely in a similar place as Jack was during the intervening years between season 8 and season 9 (working for Rask and sabotaging heaps of plots). Which is to say, he’s probably been doing a whole lot of undercover anti-terrorism work to redeem himself for his actions in season 7. That’s what I was thinking as well. In LAD, Jack was depicted as being remorseful for his Season 8 actions and even cried when he told Audrey “I killed those people…” The entire season of LAD was about Jack working his way up from bottom…which just makes that ending they chose for him all the more stupid, but that’s another topic for another time. I just hope that Tony gets a better ending to his redemption arc than Jack did. By the way–is there any indication how many years post “Solitary” this season takes place? I’m just wondering how long Tony has been out and about. Some 24 fans used to mock my suggestion of Tony being in redemption mode if he ever appeared again. They said things like: “Tony will never be redeemed” and “They’re not going to do something as contrived as a ‘I’m sorry’ angle with Tony”. Well, that’s EXACTLY what they seem to be going for here, given Bernard’s defense of Tony being “kinder and gentler”. Let’s again remember that looks are everything and Tony’s look is similar to his Solitary look: a mixture of classic Tony (longer hair) and “evil” Tony (goatee). In other words, he’ll probably be depicted as something akin to his classic iteration, only a few shades darker and in obvious pain. Tony’s look in Season 7 looked quite angry and menacing–almost like another person, really. And that’s EXACTLY how Tony was during that season: like another person vaguely resembling the Tony of old. Having said that, I hope this season ends with Tony rescuing Jack from Russia and, if not, at least end it with some sort of indication that Tony plans to help Jack escape. What a cliffhanger that would be! God how can I not love this man…he is all the reason I would even be interested in Legacy…Welcome back Tony!!! 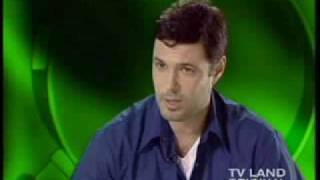 To a 24 fan the Tony Almeida story is one of legend. You remember in Season 1 when he finally started to work with Jack. You cheered the first time you saw him every season. You were happy when you saw the wedding rings. You were heartbroken when Michelle was killed, and you wondered why there wasn’t a silent clock when he “died” in season 5. Tony is very different than Jack, and that is a good thing. That’s true jack & tony are very different that way but jack should kiefer ever agree again. Has this way of dealing with the mission & the breakdown comes later one specific line that I love from tony when he’s questioned by chepelle in season 1 is about jack breaking CTU protocol. Let me save u some time I’m not a big fan of jack Bauer I don’t like the way he runs operations & I don’t like the way he delagates authority. But since midnight last night you get me to disapprove of any action he’s taken. & then jack has his moments but they almost come out psychotic like when mutalated & tortured the raussain sniper. & he says renae was done & we were out….. why couldn’t you just leave us alone? Why couldn’t just leave us alone. & I love this about both characters their both opposites that way but there also similar. Jack & tony have been both friends & enemies. Through out the series. How many presidents has this show had? 8? Tony Almeida must be his 70’s or 80’s according to the show’s chronology! Let’s keep it real! Tony was 29 years old in 2002, Legacy is 21 years after that, so he’ll be 50 now. I have been here all throughout the Legacy developments sir, I just must have been buried under a sheer wall of Justin’s repetitive bilge. Anyway, while it’s by no means a great season or an ideal way to reboot/spin-off 24, it’s still pretty good… certainly better than LAD, my visceral hatred of which made me public enemy #1 back in the day as you might recall. Speaking of Wayne Palmer, I read somewhere that there was an ‘extra’ or special feature on a DVD that explained Wayne Palmer’s demise and death. (Something like it was included in the Season 7 blu-ray) But I have yet to ever see anything, nor do I own it on blu-ray. Does anyone have a link to that or where that can be found? Go to “24 Series” at the top, look under season 7 and it might be in there somewhere. Someone else will have to shed some light on exactly where it is. So, he either forgot about that newspaper clipping and/or that clipping simply isn’t “canon” and Fury envisions him still being alive. so Tony is confirmed 4 the rest of the episodes? Now this is more like it! 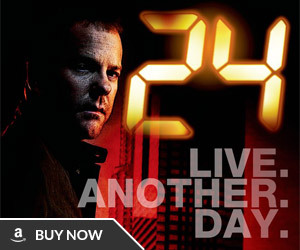 After watching some clips of Tony in action again, suddenly Legacy more like the real 24. It’s as close as we’re gonna get for now. If 24 somehow comes back again and Sutherland still wants out, we should just have Tony as lead. Should have happened from the start to be honest. Why’d you think it wouldn’t work on TV now? Perhaps people have also stopped watching the show because they’re over seeing the same old themes and story-lines. Perhaps it’s not as compelling (and relevant) as it used to be? There’s a 24 facebook group that encourages bullying people who find themselves disappointed with the show. It’s an awful shame that fandom has come to this. PS: By the looks of things, some of those facebook people must be making their rounds on this site because I’ve already had a couple attempt to tell me to shut up about my negative Legacy feelings…yeah, it didn’t work out well for them, LOL! 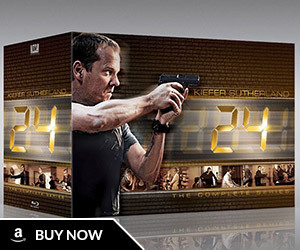 BTW, is that the official 24 FB page or a fan page? It was a fan page but I keep seeing the same people pop up and vehemently defend the show in the official group too. It’s a little off-putting and is spoiling the franchise for me a little bit, this mentality that if you find yourself underwhelmed by Legacy you aren’t a ‘real’ fan and should be publicly shamed on social media. Why can’t I be allowed express my disappointment at the show for retreading old ground and recycling old story-lines instead of pushing for more unpredictable groundbreaking moments like the original series did? Yeah, I’ve seen stuff like that too. Some people just can’t handle criticism it seems. Holy crap, everyone! I had no idea! How the **** did we miss this! ?